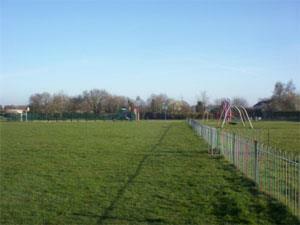 Bell Lane Playing Field in Belton near Great Yarmouth has a children's playground, two hard surfaced play areas for football/basketball and the field is used for general recreation. Follow the A143 signposted for Beccles taking a right turn signposted towards Belton at New Road. Follow New Road round onto Church Lane which then leads onto Bell Lane where the recreation ground is situated.